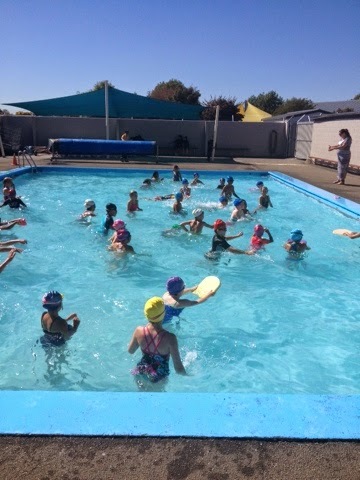 Ako Ngatahi 2017: Our Pool is Awesome! It's 27 degrees in the pool today! Wish I could jump in there too. Your pool does look awesome! it must be great to be able to swim in an outside pool and all the kids look like they are having a lovely time. I also like swimming but unfortunately have never been to an outside pool as I live in scotland. WE do swim in the sea in summer but its freezing!